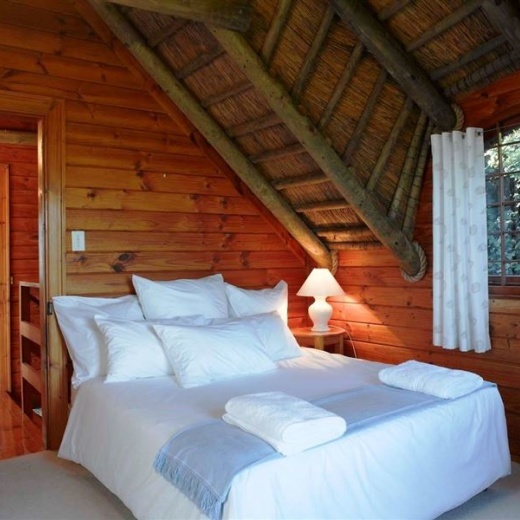 A privately-owned fully equipped cottage on the furthest corner of Noordhoek’s Monkey Valley Nature Resort. It combines top security with the seclusion of your very own beach haven. The cottage welcomes you to one of the most romantic hideaways on earth. Horses on the beach, magnificent views and spectacular sunsets. This discreet two-bedroom timber cabin tucked into the Milkwoods is uniquely positioned - a true sanctuary in nature, only two steps from Noordhoek’s Long beach. The living area opens onto large sunny deck while the main bedroom opens onto a sea-facing balcony. It is 10 minutes to neighbouring seaside villages of clearKalk Bay, Fish Hoek and Simon’s Town.